WORKOUT CLOTHING HAUL! | RAWR BOWS. I love clothes, all types of clothes, but I’m especially into cool workout gear. For some reason I feel much more motivated when I go to the gym in clothes I like than when I go in plain boring black jeans and a white top - maybe it’s because I feel a bit like Khloe Kardashian... I recently received some beautiful clothes from Pink Soda Sport* (cool name, huh?) and I wanted to show you, because after reading this post you’ll either want to go gymming or go shopping - or both. 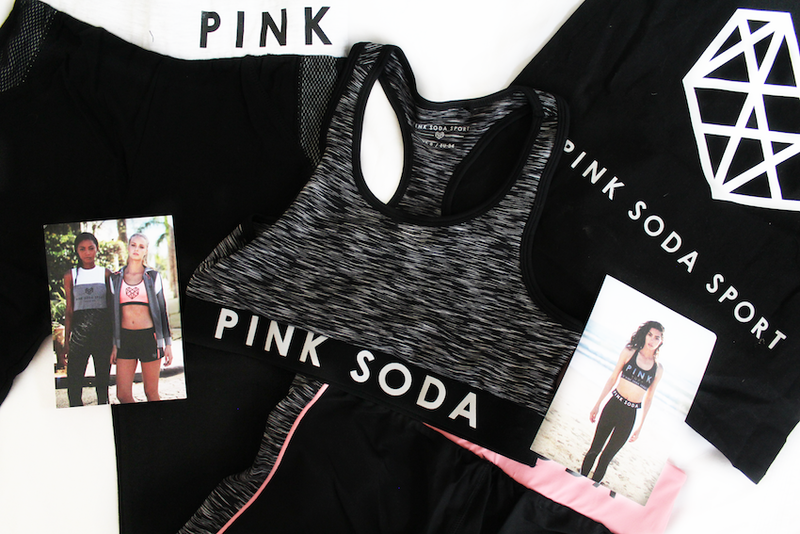 If you’ve never heard of Pink Soda Sport, they launched their first line in January and people like Lucy Watson and Lauren Pope were spotted wearing it, so you can imagine how fab it was. Their new collection is even better than their first one, featuring progressive styles from the debut collection’s best sellers and some new revolutionary pieces, with fun colour pops! You’re definitely bound to find something you love. If you don’t believe me, just take a look! 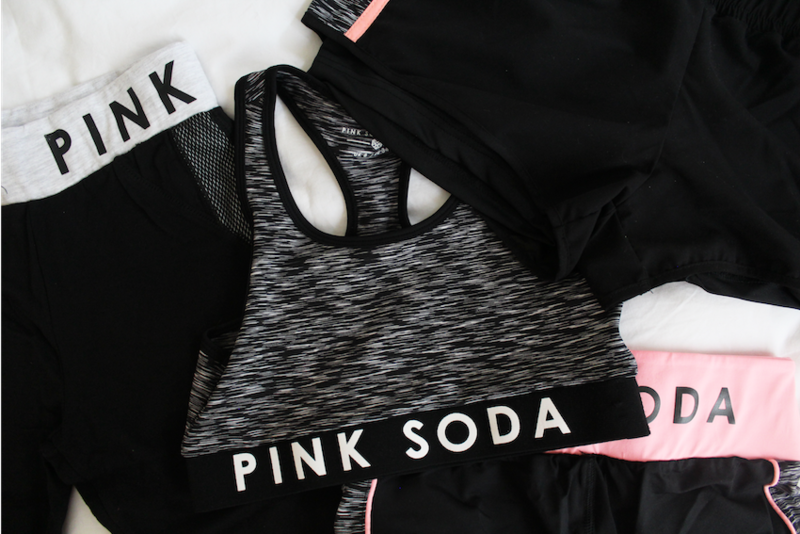 My favourite item from the collection are definitely the pink and black leggings. They are a bit cropped which makes them ideal for the spring weather and I totally love the black, white and pink detailing on the sides. They’re also so comfy that I reckon I’ll be wearing them around the house too, and not only to the gym. I also got another pair of black and white leggings with mesh (so edgy!) and some running shorts, which have a pocket to keep your phone in! I don’t know if it’s the fact that I haven’t been running in a few weeks or that these shorts are so cute but as soon as I tried them on I really wanted to go for a run. Finally, I got some tops and a sport bra. Sport bras are probably the best kind of bras, they’re so comfortable. However, I find that sometimes they’re a bit too thick which is annoying when it gets warmer. This one is a bit thinner, making it perfect to wear during spring and summer. The tops are both really flowy and thin which I love, as there is nothing I hate more than feeling sweaty and wearing a tight t-shirt. Overall I’m super happy with these clothes. I’m not a bright colours lover but I do like a pop of colour on my workout clothes, I feel like it makes me want to work out more and makes me be more productive. Opening the package made want to put on the clothes and run to the gym, so I guess that’s a great sign of how much I love them! 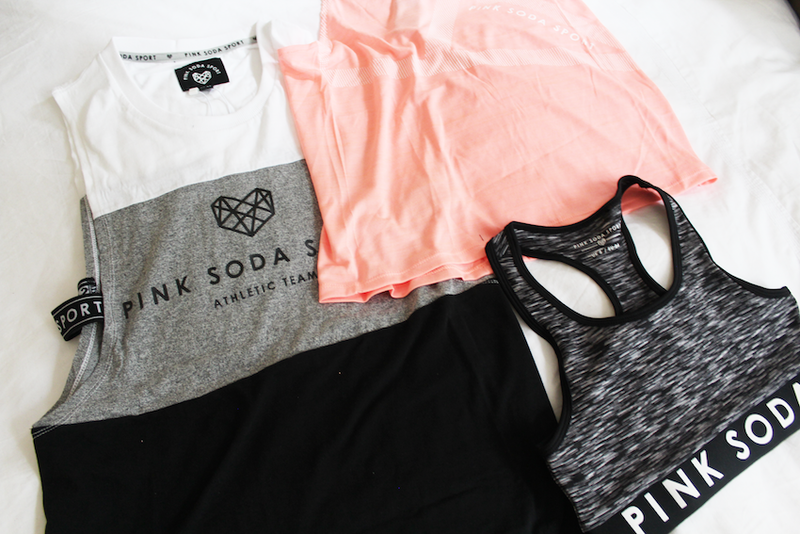 If you're looking for good affordable working out clothes I would totally recommend Pink Soda Sport, (available to buy at JD Sports) their clothes are great quality, cute and have reasonable prices!